Join us on our working family farm in the beautiful Methow Valley! 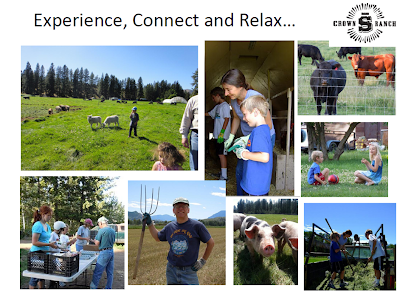 We are now offering the opportunity for you and your family to experience our family farm, learn about our ethical ranching practices, experience how we care for our animals and our environment. Come explore our sustainable farm practices and innovative systems including our solar panel self-propelled chicken trains, passive fly traps, nutrient recycling compost facility, solar powered mobile hen houses, pastured pigs, and rotating grazing paddocks. These are just a few of the ways we produce local food that is better for the animal, better for the environment and better for you! Learn how we pasture and sustainably raise 300 turkeys, 5000 broiler chickens, 350 laying hens, 100 pigs, 50 steers, 150 sheep, 20 rabbits and lots of nutritious and delicious vegetables on our certified organic grounds. Your Farmer for a Day experience starts at 9am with a Farm Tour then an opportunity to participate in real on farm activities! Each day�s activity will vary depending on the season, what needs to be done that day, what your interests are and what skills you�d like to apply. 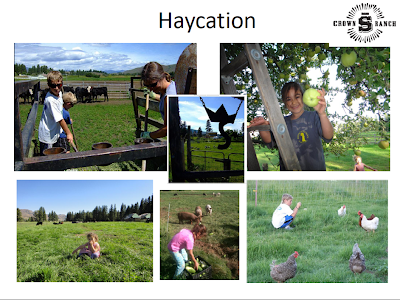 Potential activities include: collecting and cleaning eggs with Geza, moving sprinklers and maintaining the irrigation system with Louis, planting and weeding with Icel, sorting, labeling and packing meat with Max, moving hay with Brian, and/or building and maintaining infrastructure with Louis. Click Here to reserve your Farmer for a Day experience. - Day Package includes farm tour and optional ranch activities. - Experience typically runs from 9am to noon. - Children under 12 years old must be accompanied by an adult, max two children per adult. - Please leave all pets at home.